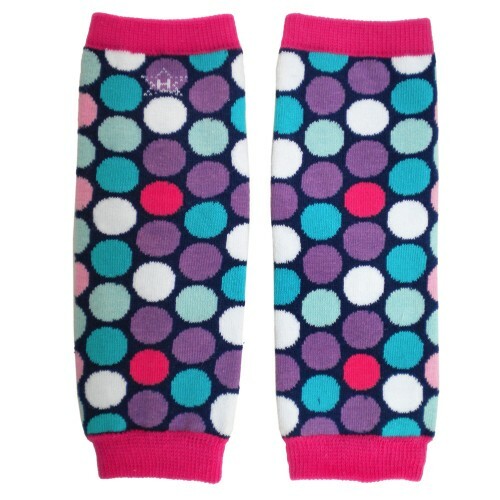 Huggalugs Legwarmers make the perfect finishing touch to any outfit. Mod polka dots in gem colors are a fun addition to any baby's wardrobe. These are navy with spots of amethyst purple, quartz pink, diamond white, pink tourmaline and emerald green. Wear baby size as armwarmers for bigger girls as shown here.